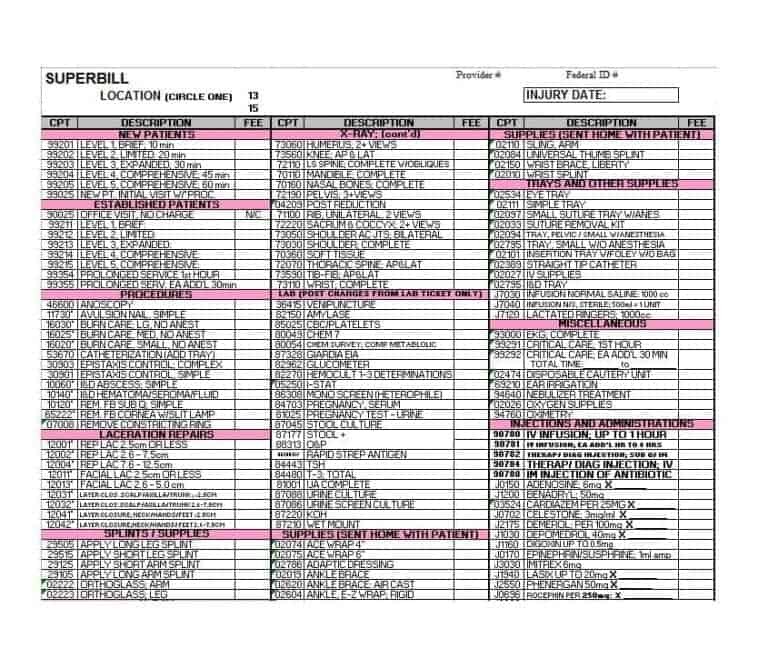 Used to create healthcare claims, superbill is submitted to insurance companies at a later date for reimbursement. 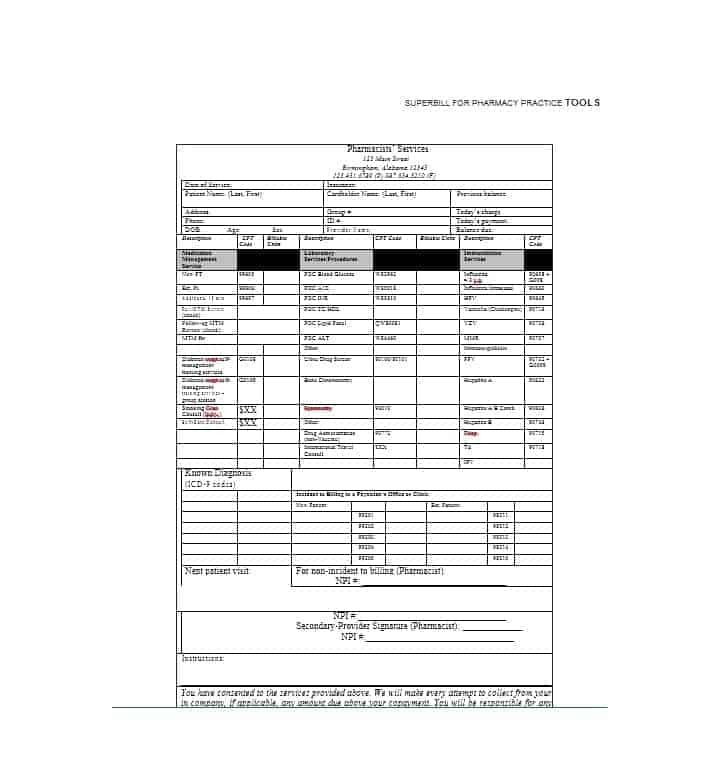 Much more than just a standard invoice or a receipt that doctor and other medical staff come across on regular basis, a superbill provides specific information to insurance companies that the latter uses to process requests for reimbursement. 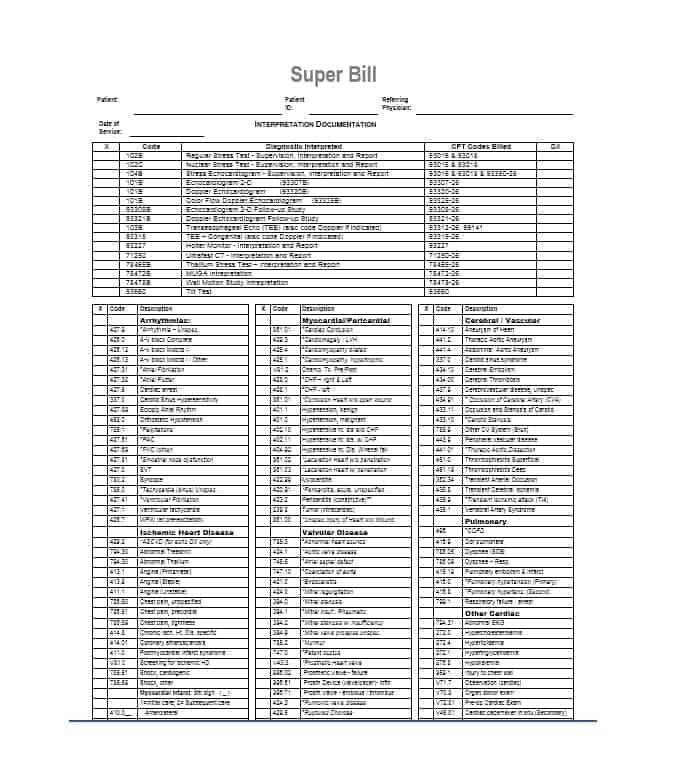 There you have—a brief overview of the superbill. 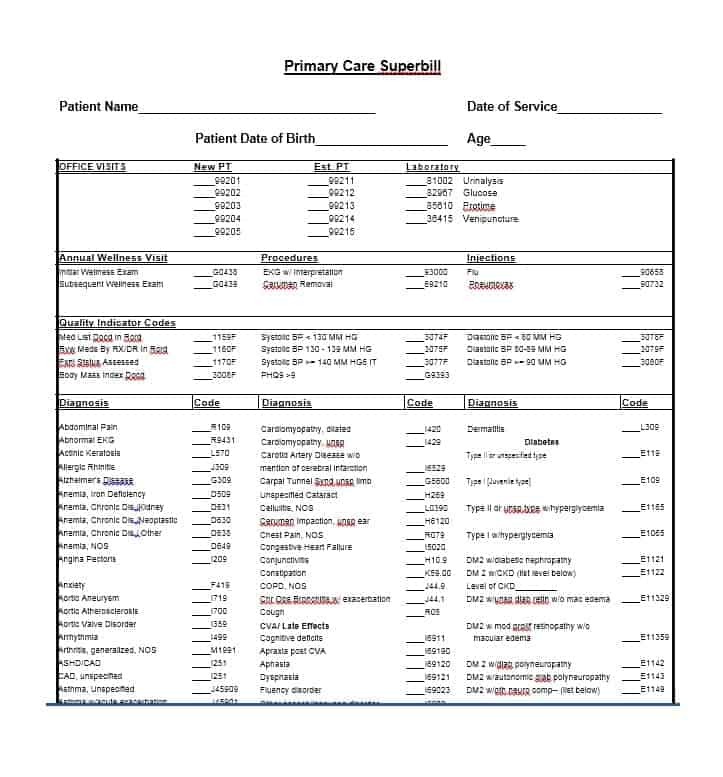 A form used by doctors and other medical staff who have no direct working relationship with insurance companies, a superbill helps patients to get reimbursed for what they paid to the doctor/hospital/clinic. 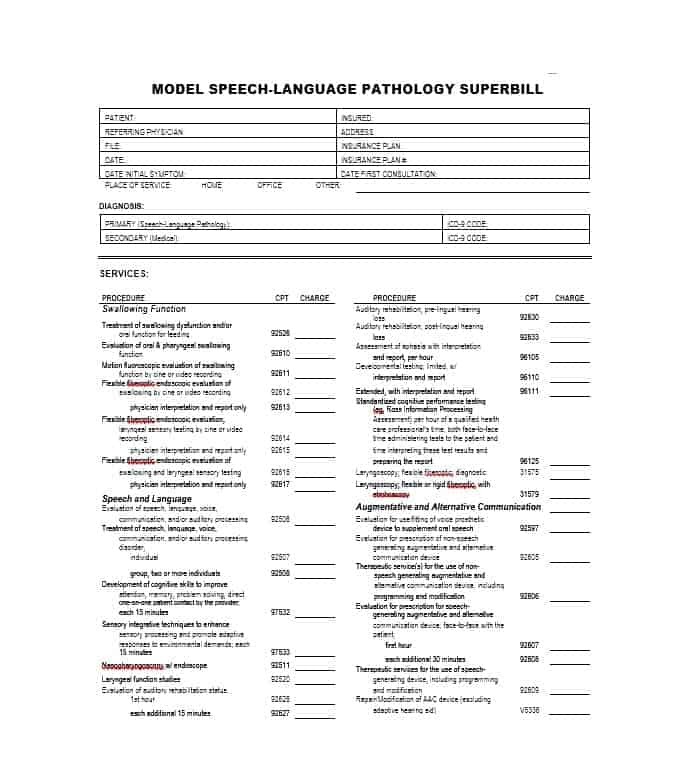 Once a request has been made and a payment has been received, a superbill will be prepared for each appointment. 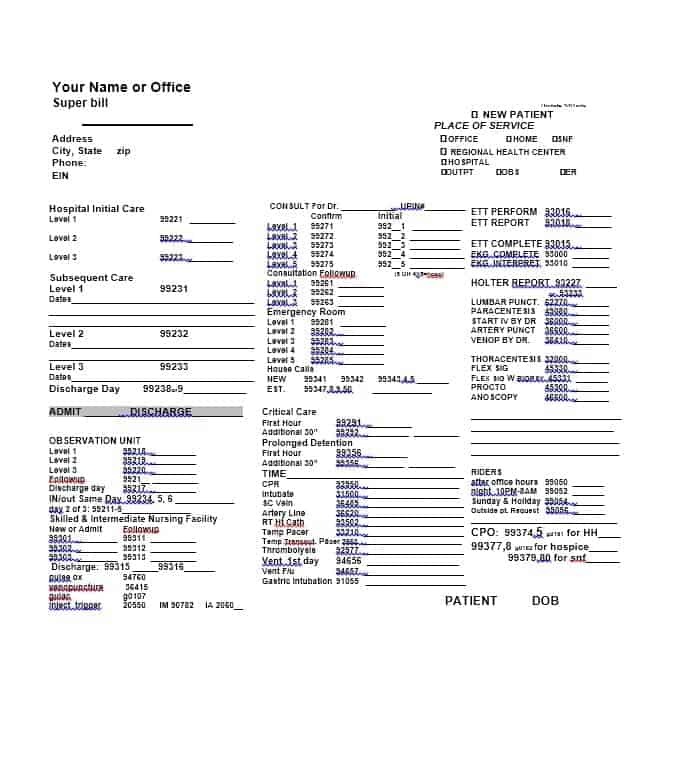 As mentioned above, a superbill contains a number of things pertaining to the patient and the provider including names, addresses, Tax ID number, codes of diagnosis and procedures, and the amount paid for services. 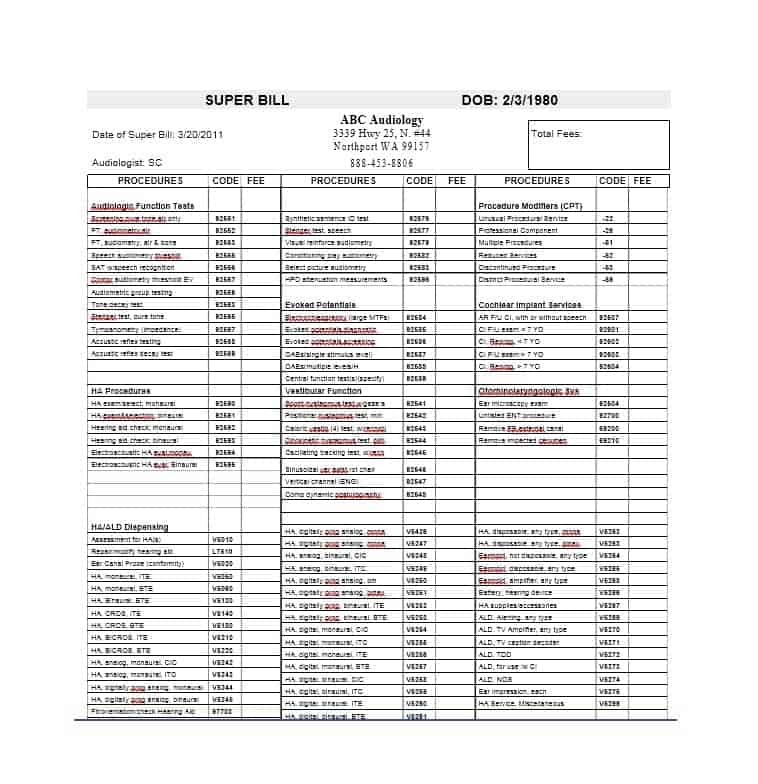 Hopefully, now you know what is a superbill. 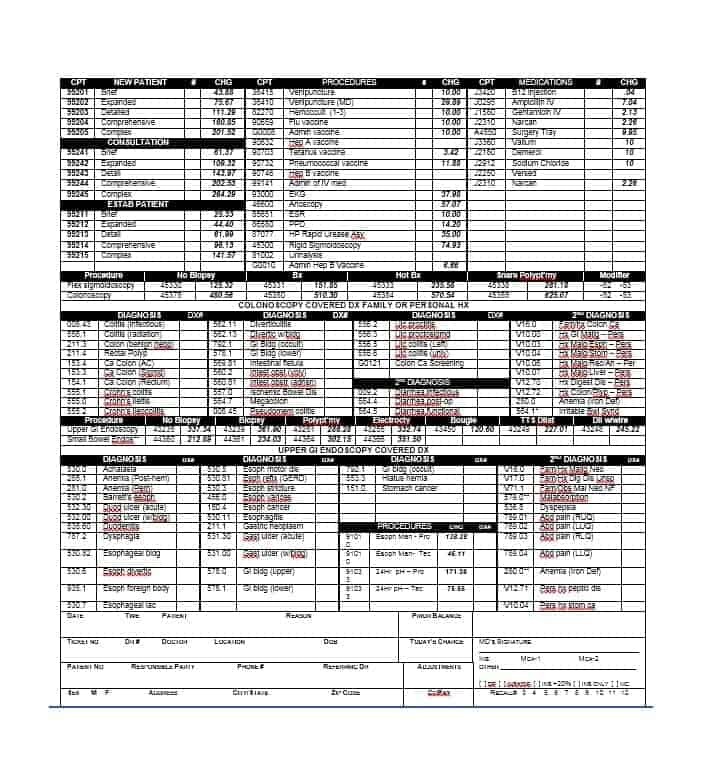 With that done, it’s time to turn out attention to how to request for a superbill and submit it to insurance. 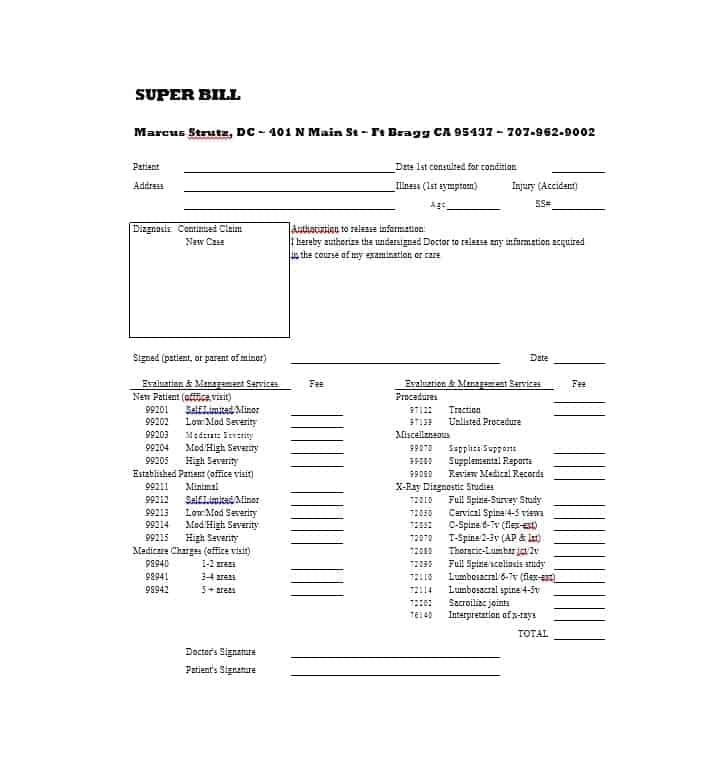 The aforementioned information clearly indicates that making a request for a superbill is rather easy. The hard part is probably creating it which is of course the doctor’s responsibility. 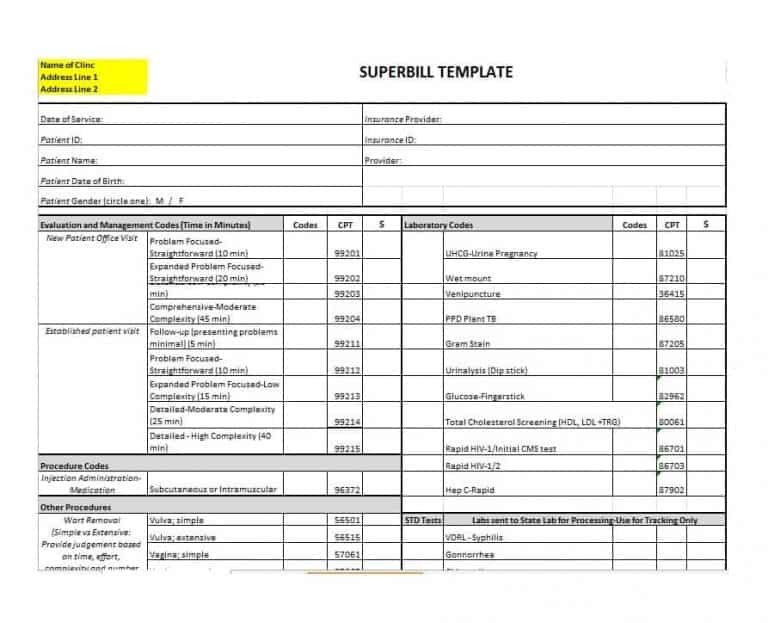 If you are a doctor or part of the medical staff then an easy way for you to create a superbill is using a superbill template. 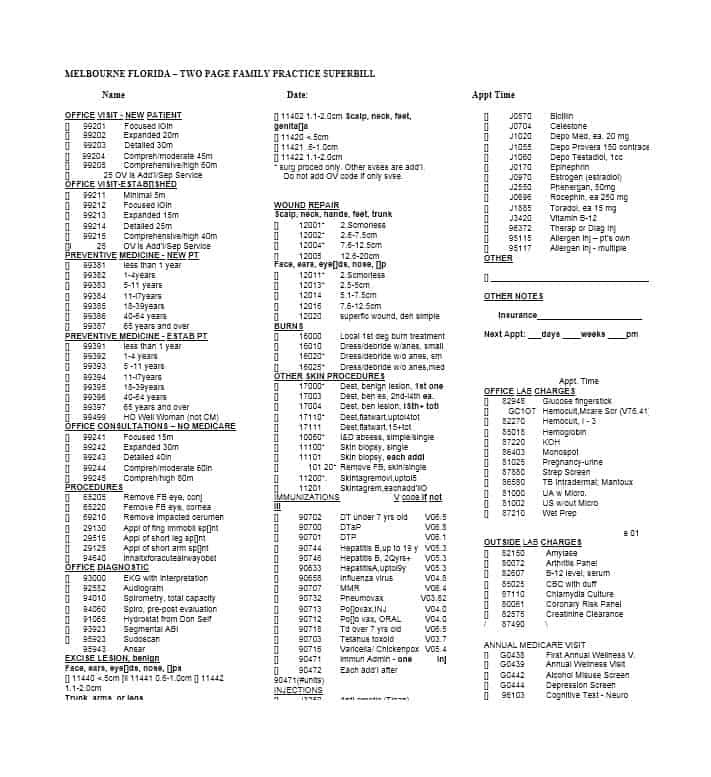 Talking about templates, you can find templates of many medical forms online including a Blood Pressure Log. 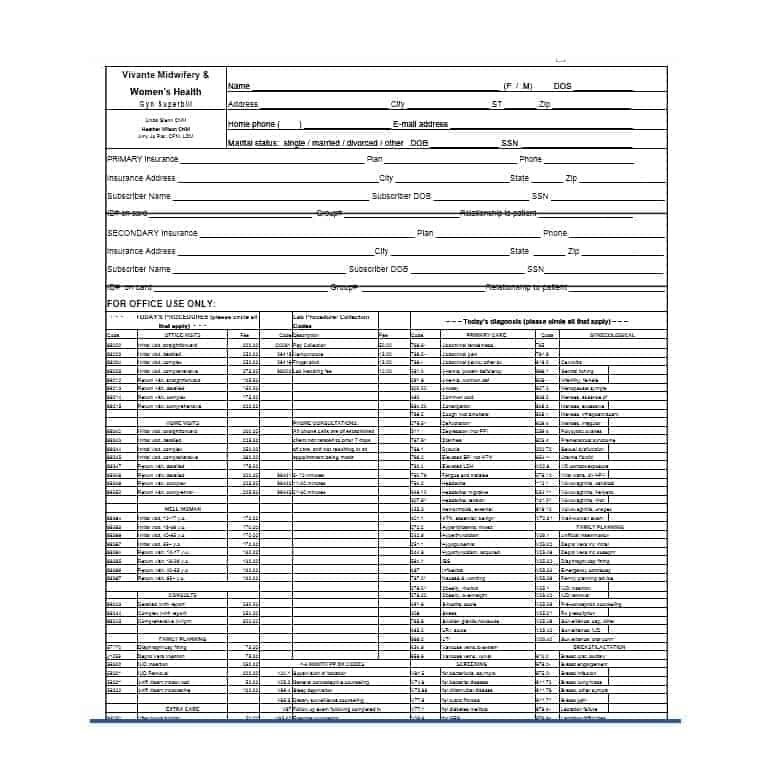 Coming back to the subject at hand, after you’ve requested for and received the superbill, the next step in the process would be submitting the bill to your insurance company for reimbursement. How can you do that? Let’s find out. 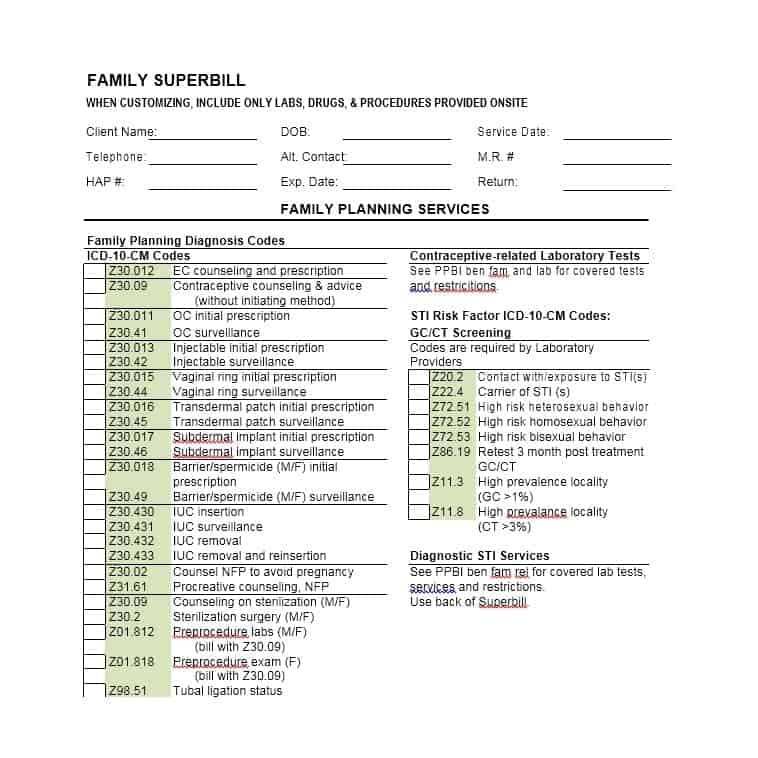 Now that we’ve taken a brief look at the things related to a superbill, it’s time to discuss superbill and its constituents in a bit more detail. 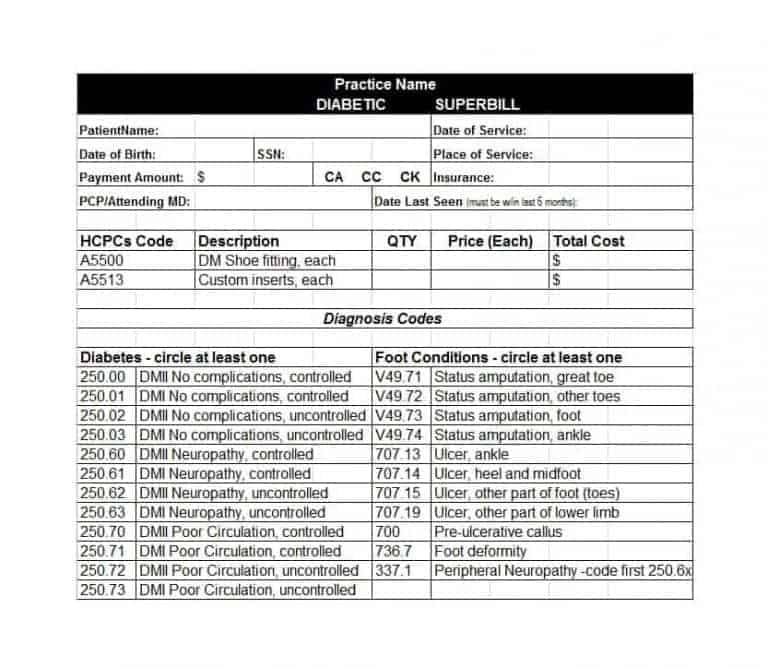 A receipt of the services provided to a patient, the superbill is submitted to insurance companies to get reimbursed for the treatments. 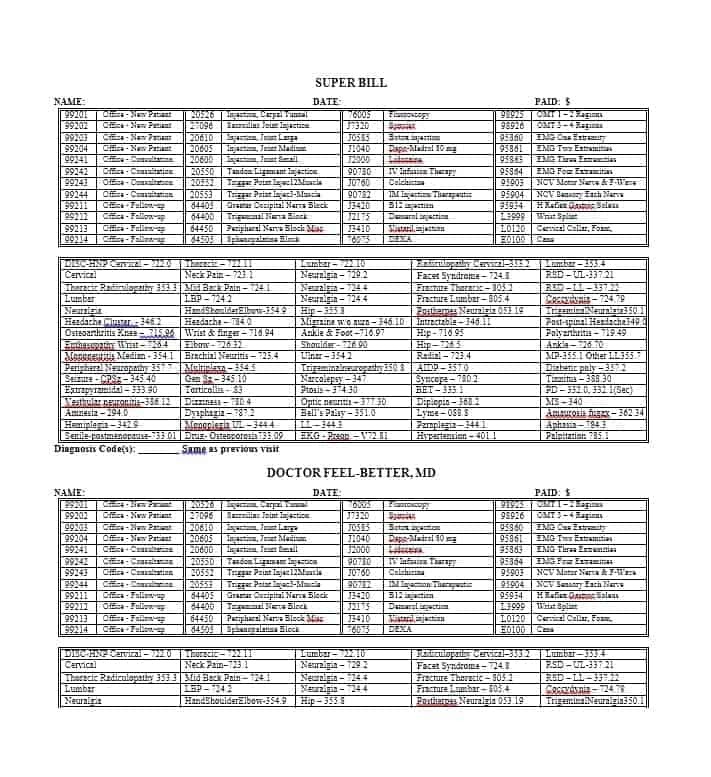 At times, doctors submit the superbill on behalf of their patients. 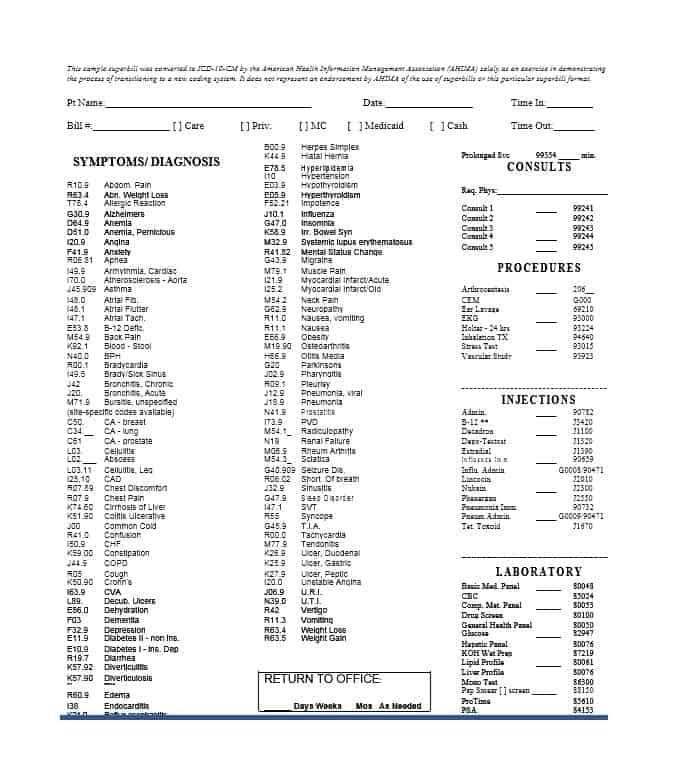 The important things to notice here is that doctors collect a payment from the patient even when a superbill is used for reimbursement purposes. 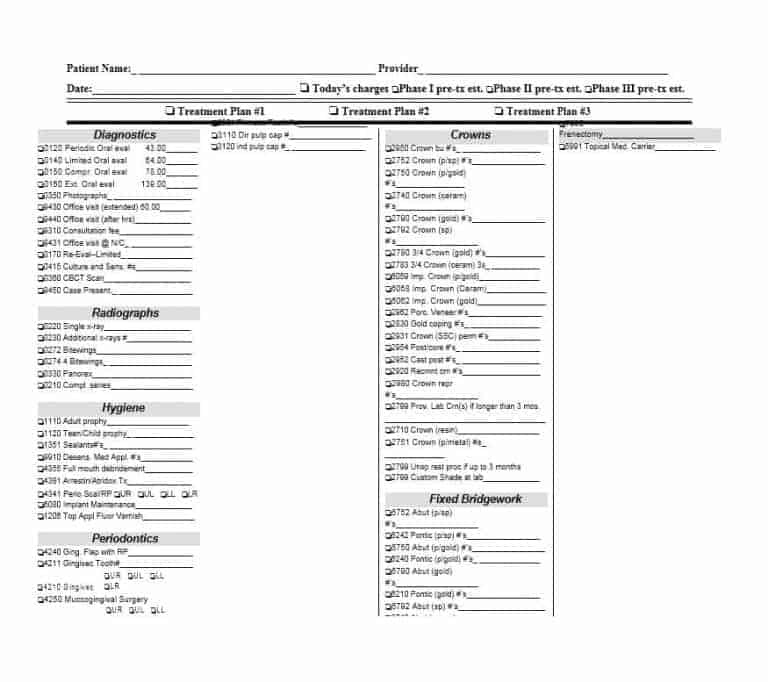 This part of the superbill contains the basic information about the patient and the provider. 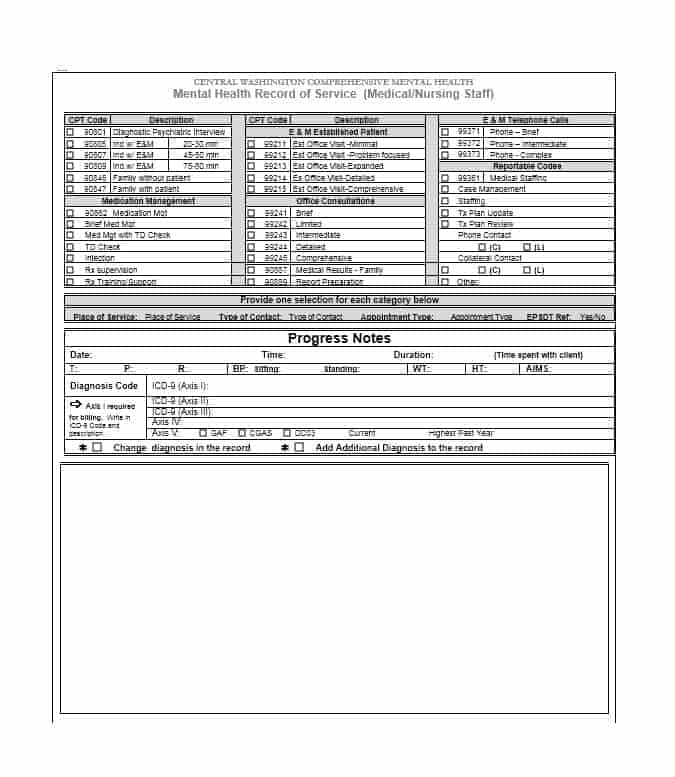 Basic information includes information such as name, DOB, address, phone number and office address. 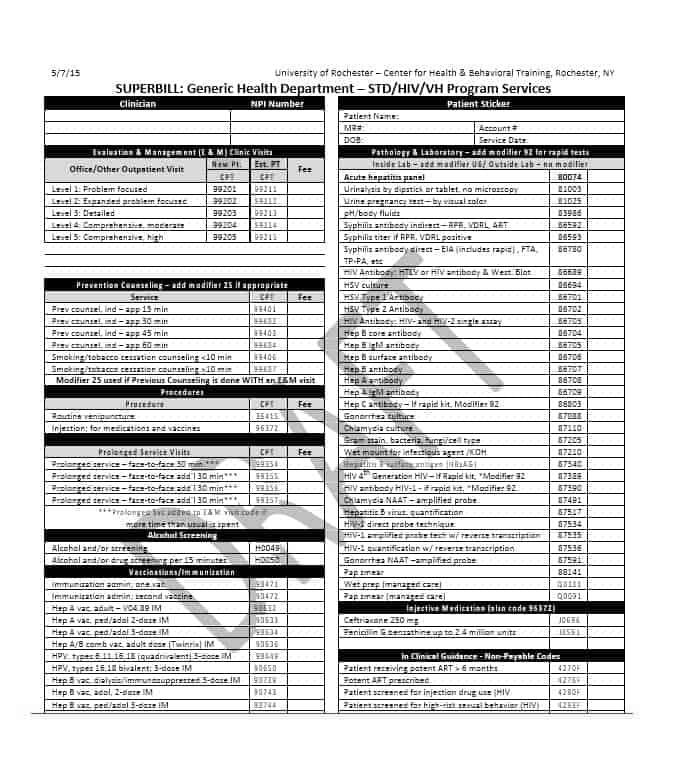 The part of the superbill reveals information related to the provider. 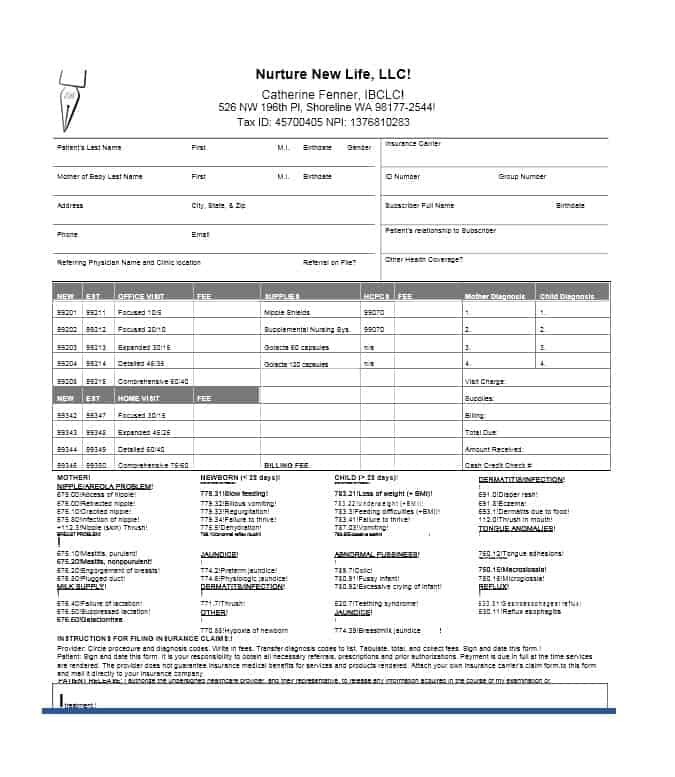 Provider information includes information such as the name of the provider, Tax ID number, NPI etc. 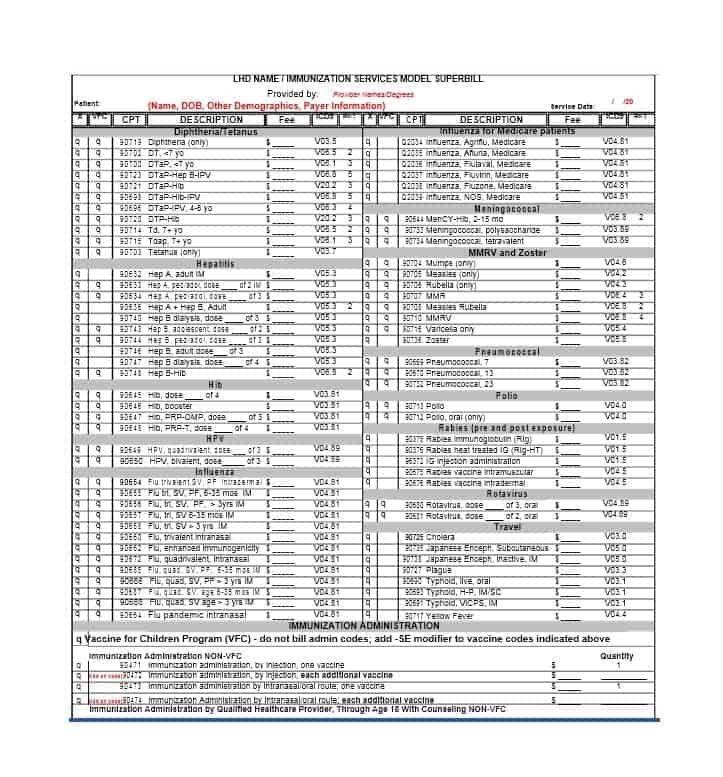 Short for the International Statistical Classification of Diseases and Related Health Problems, ICD-10 is a list of every health problem that a person can possibly develop. 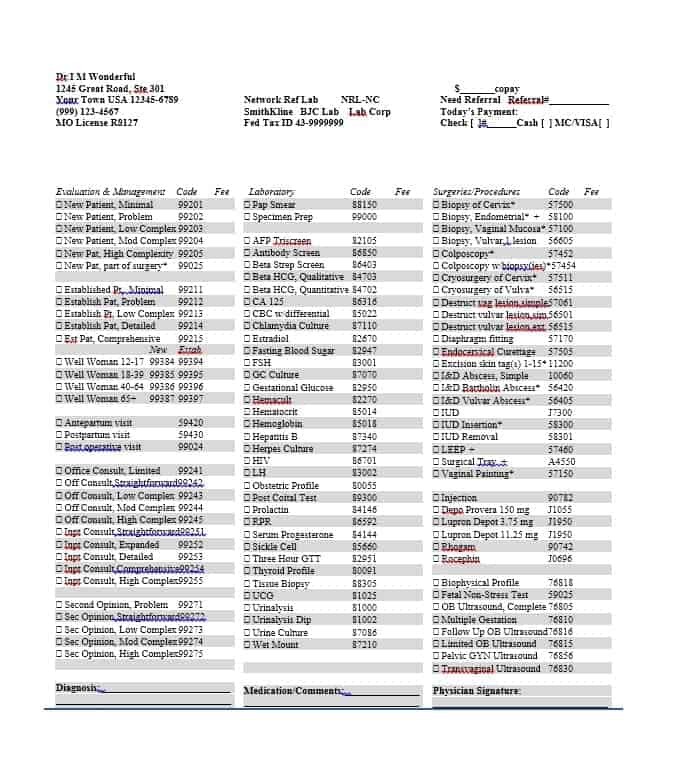 As they are likely to be rejected for being outdated, ICD-9 codes must not be used for superbill purposes. 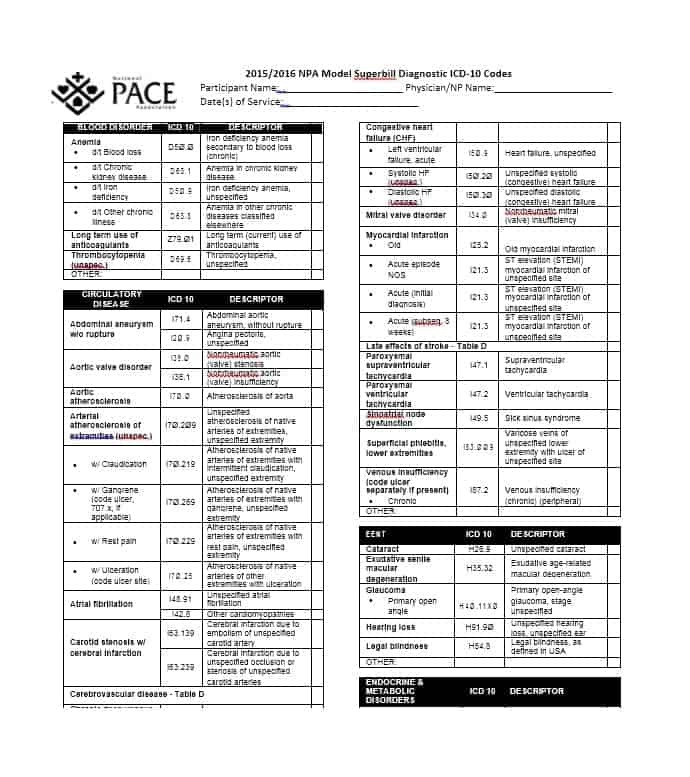 Instead, the document should include ICD-10 code. 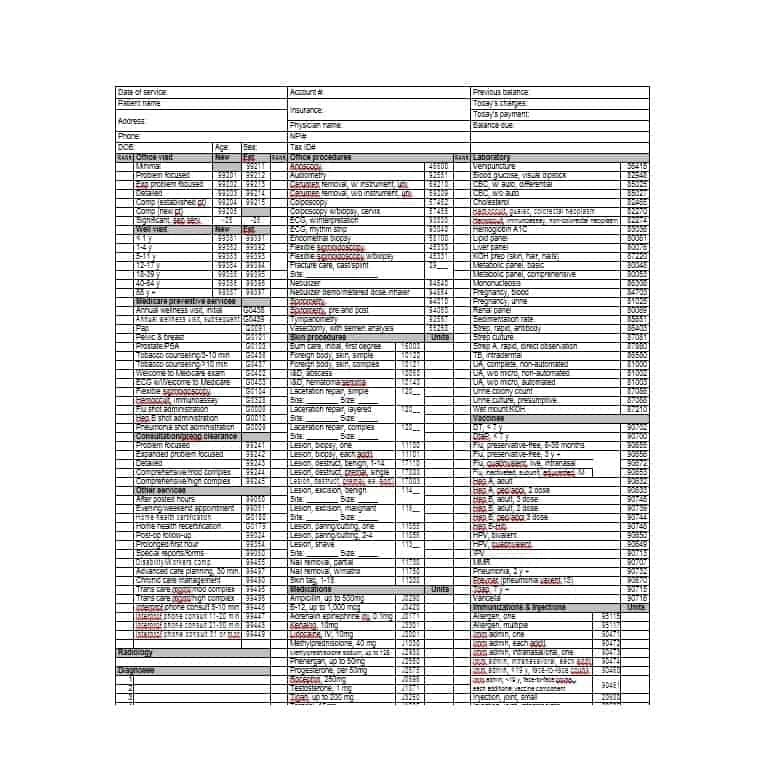 An index of medical and health services, The Current Procedural Terminology, or CPT code is a creation of the American Medical Association. 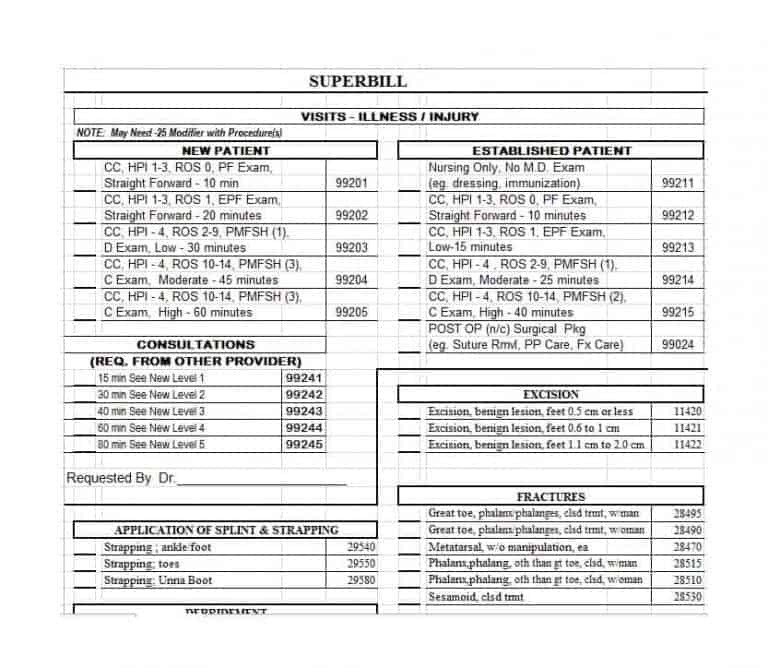 It is important for doctors and other medical practitioners to ensure that the codes of the services they’ve provided to their patients are included in the superbill. 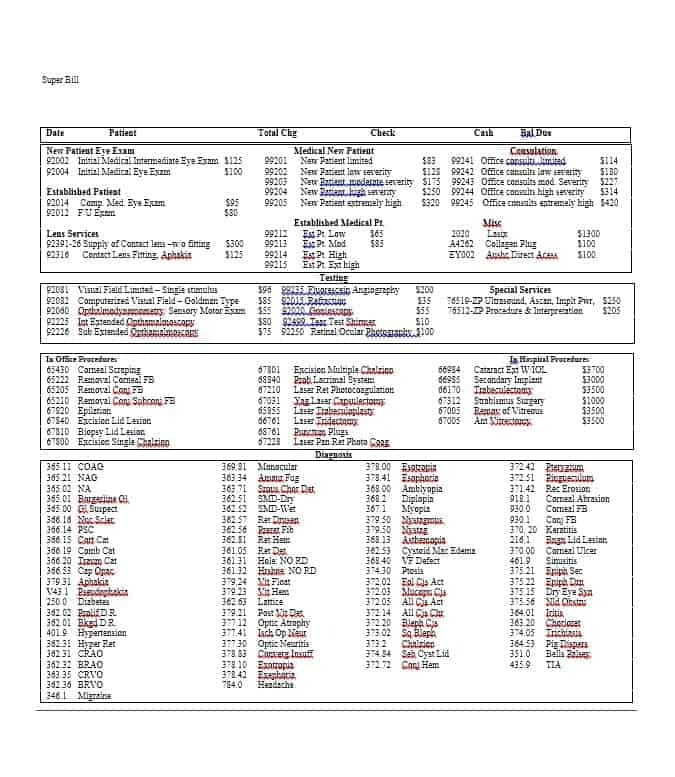 This is important because insurance companies reimburse based on the codes listed on the superbill. 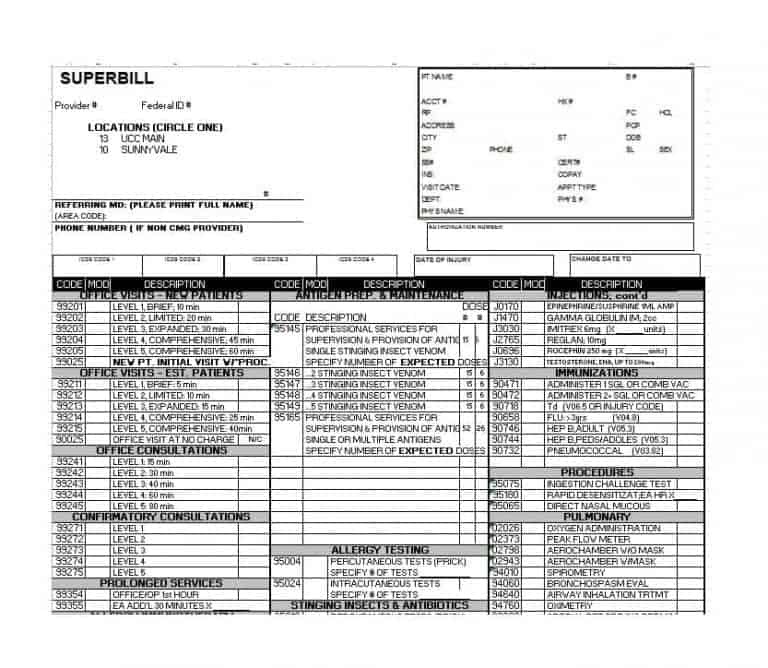 There you have it—some of the essential things included in a superbill. 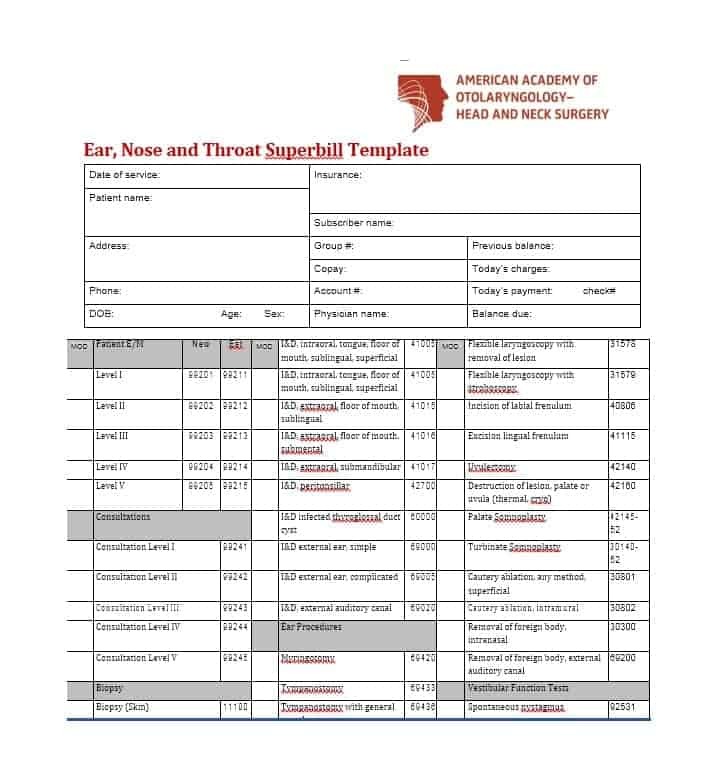 In addition to the aforementioned things, a document may have a section for follow-up appointments and space for the signature of the patient. 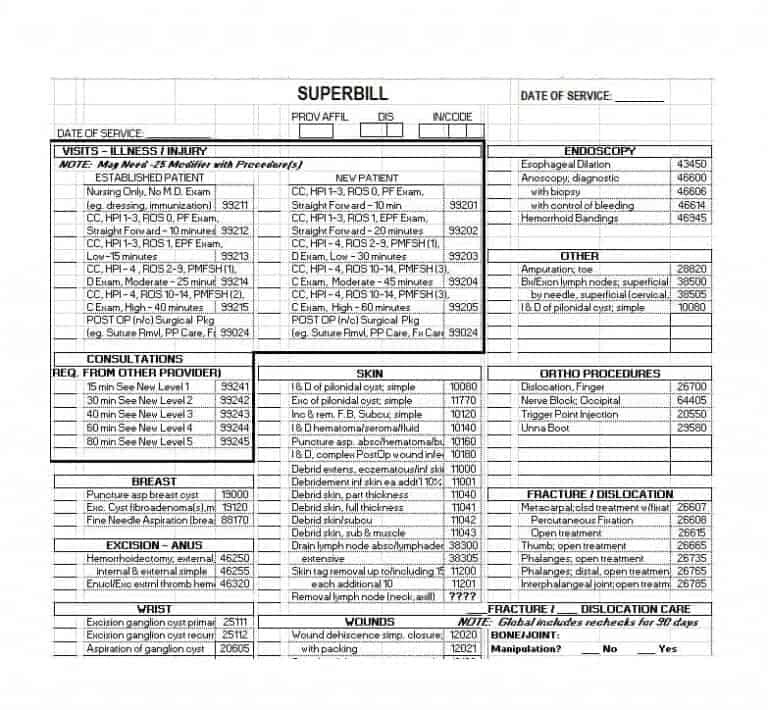 Contrary to popular belief, the benefits of a superbill aren’t just for patients. 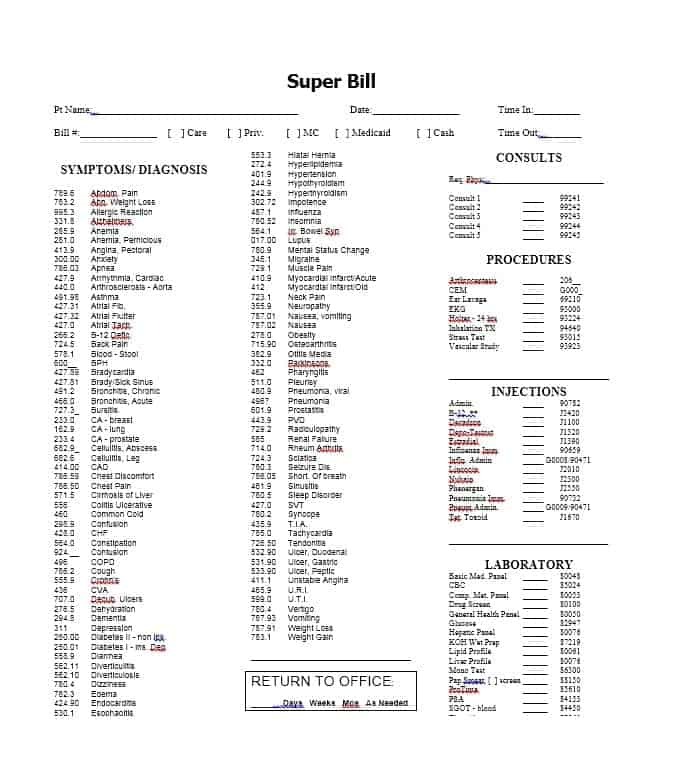 Instead, doctors/providers can also benefit from the superbill. 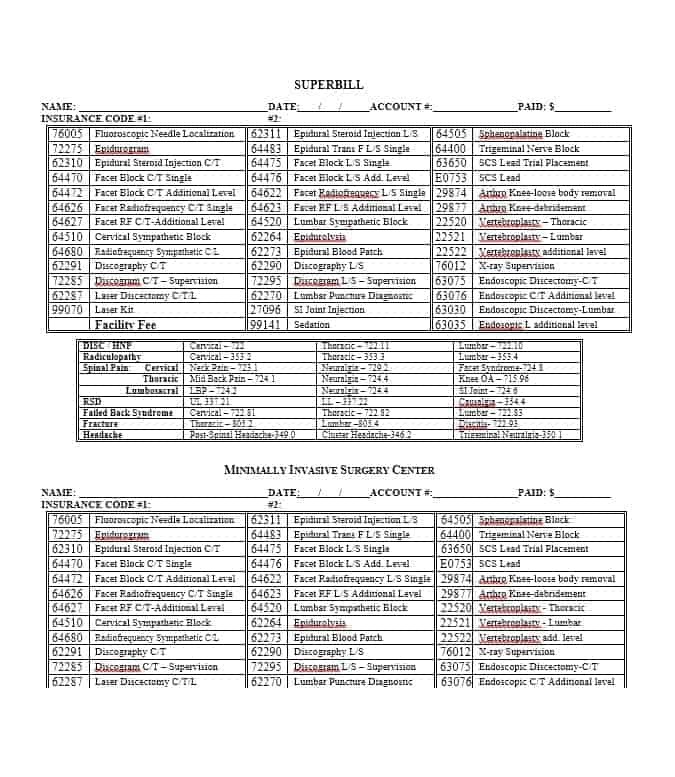 The superbill makes billing easy for providers and allows them to keep track of each patient’s visit. 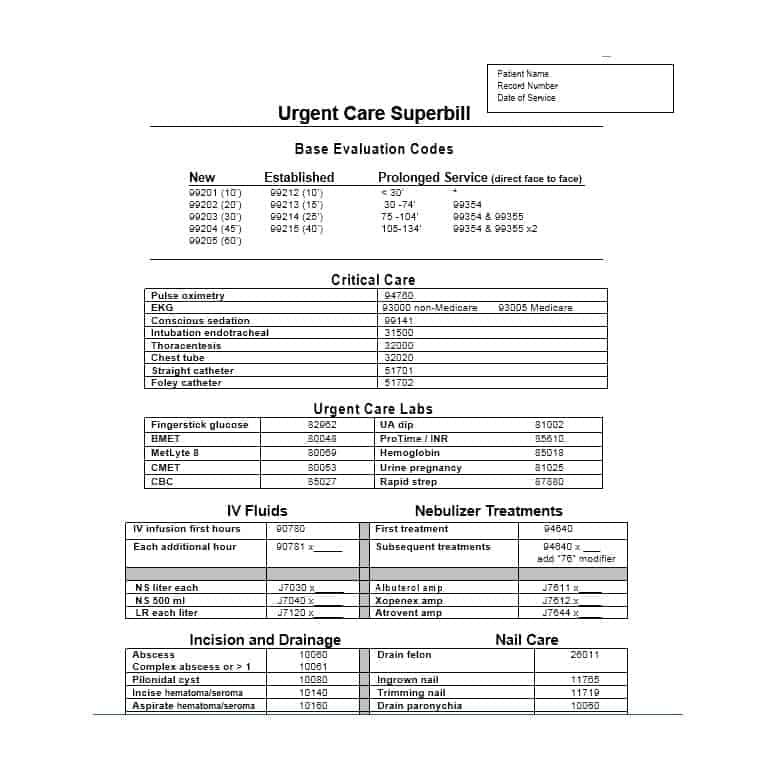 While a superbill is beneficial to both the patient and the provider, it may cause issues if it isn’t created properly. For most people, entering codes into the system is hard work. 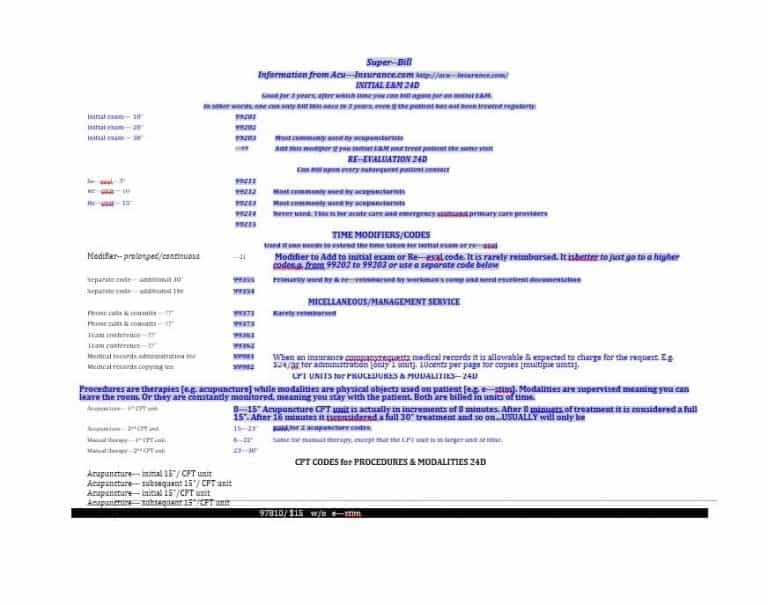 For this reason, errors occur when you list codes on a document. 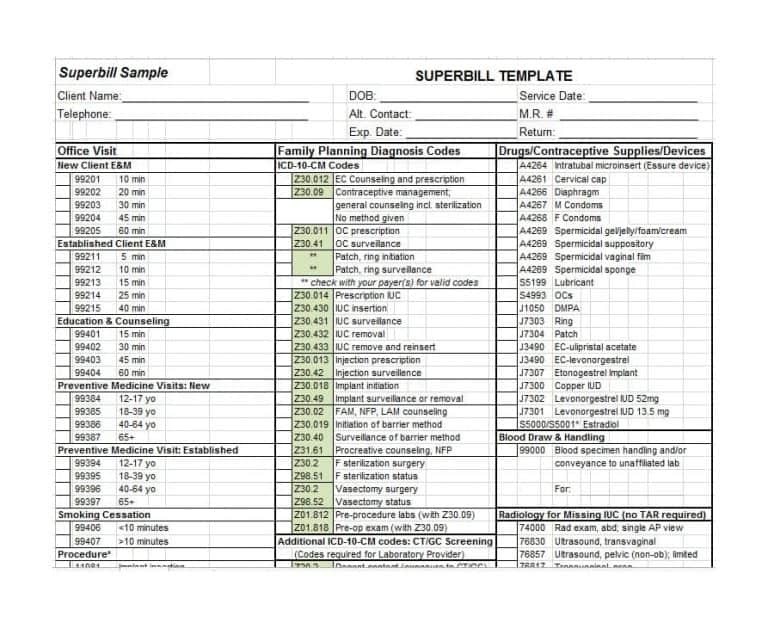 To make the task of manually listing codes easy and limit the chances of errors, use a superbill template. 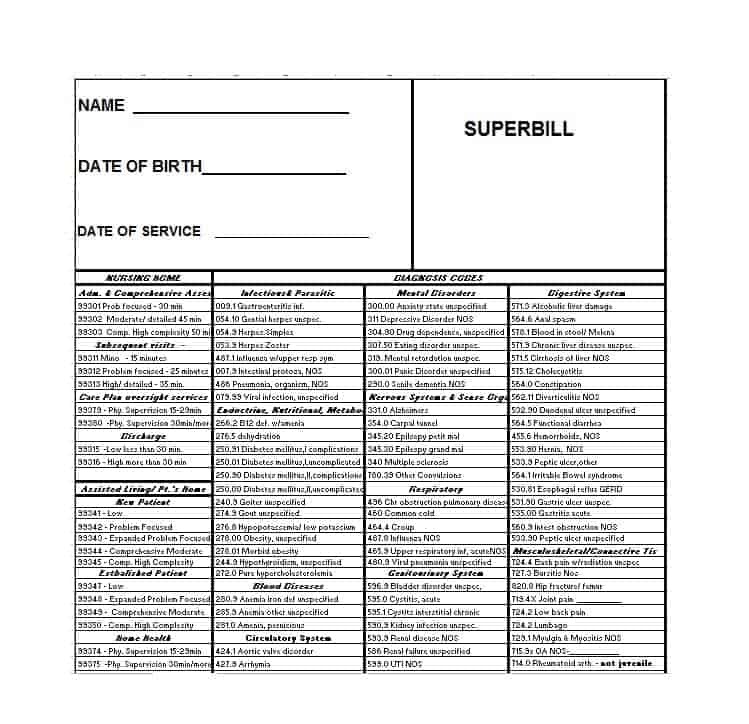 Now that we’ve taken a good look at the things include in a superbill, it’s time to discuss in detail when a superbill should be requested and how to submit for insurance. 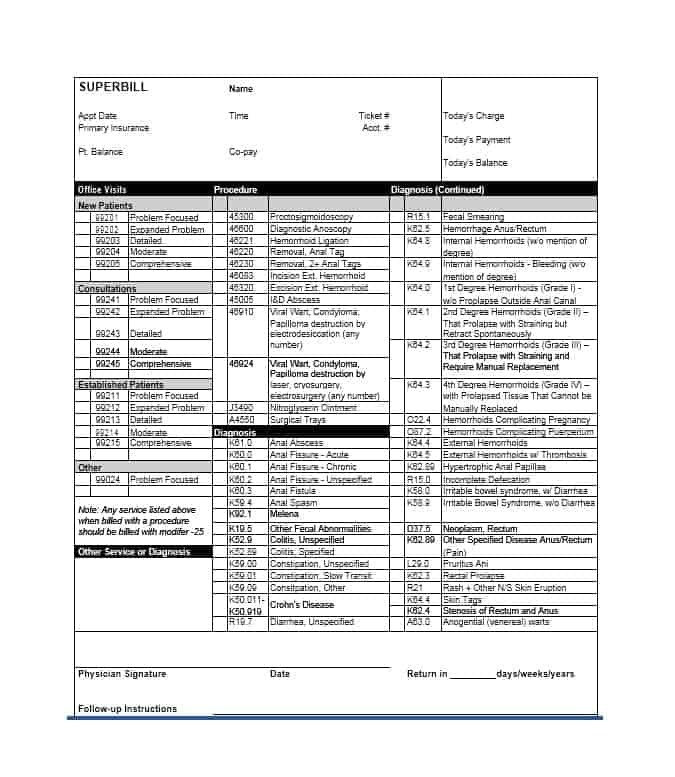 Now that it’s clear how often a patient should request for a superbill, it’s time to move on to how to submit a superbill to an insurance company. 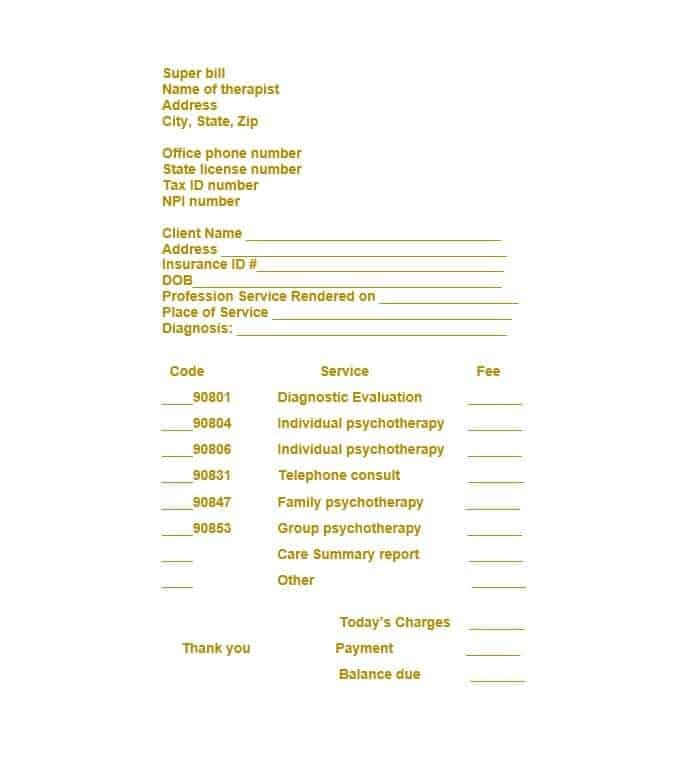 Often referred to as charge slips or encounter forms, superbills are used by patients to get insurance benefits. 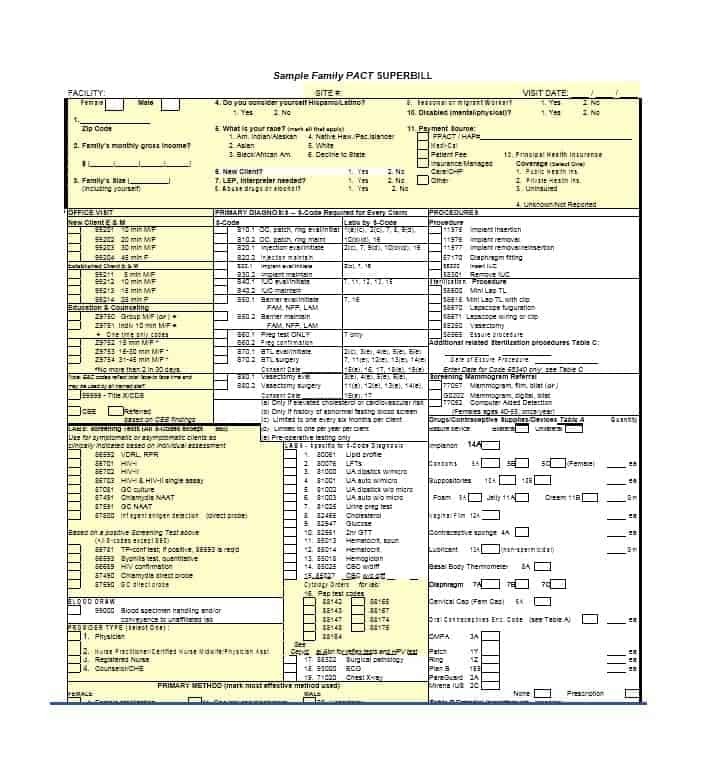 One of the biggest favors that a provider can do for their patients is providing them a superbill. 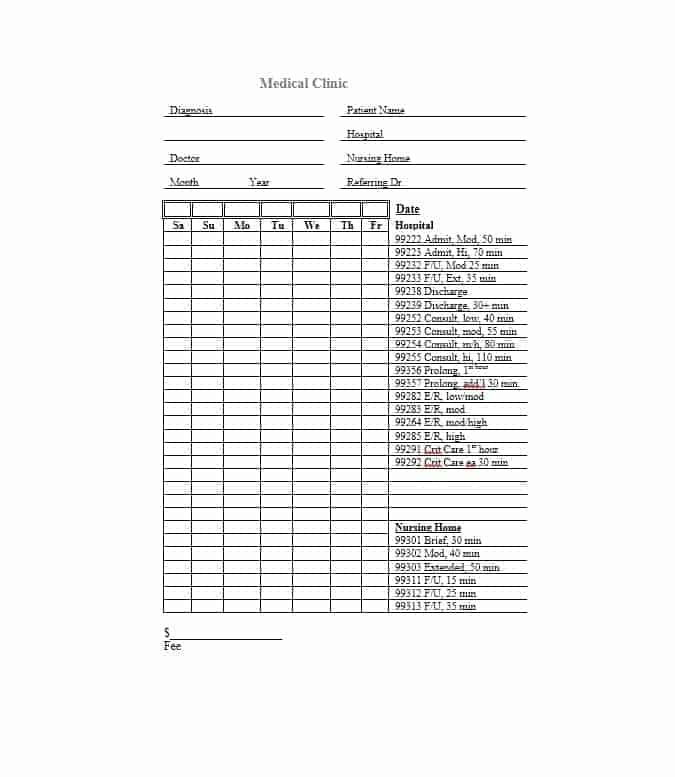 By providing a superbill to their patients, doctors and other medical practitioners can ensure that the patients are covered for their treatments. 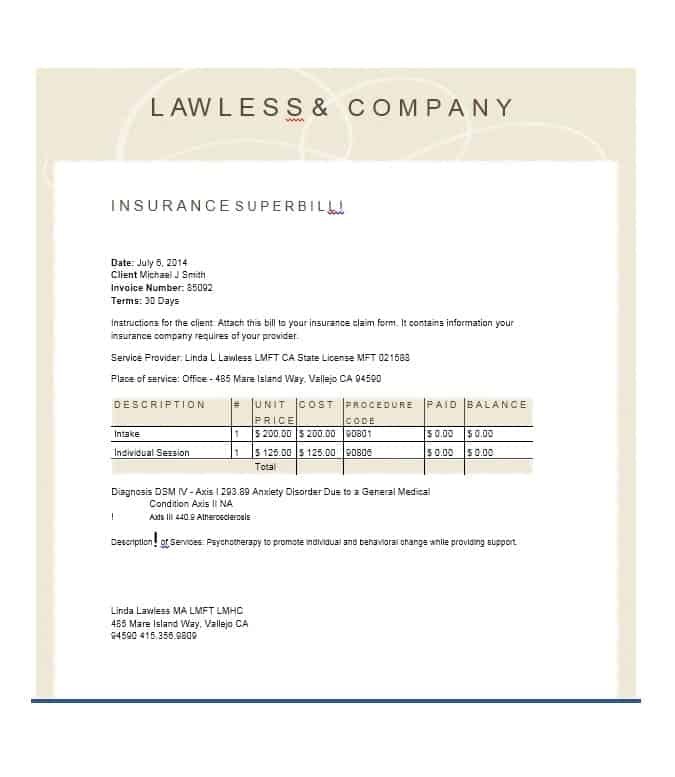 A superbill comes in handy even when the provider is considered out-of-network by providers or isn’t credentialed by insurance. 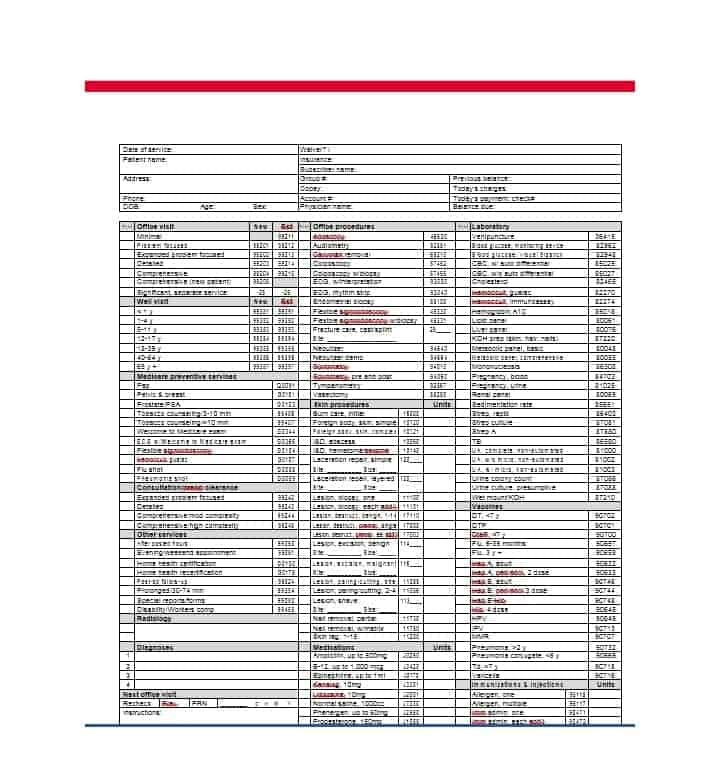 In short, a superbill can help patients to reduce their cost of health care. Preparing of it takes no more than a couple of minutes. Today, physicians in America and around the world are using superbills to make health care affordable for their patients. 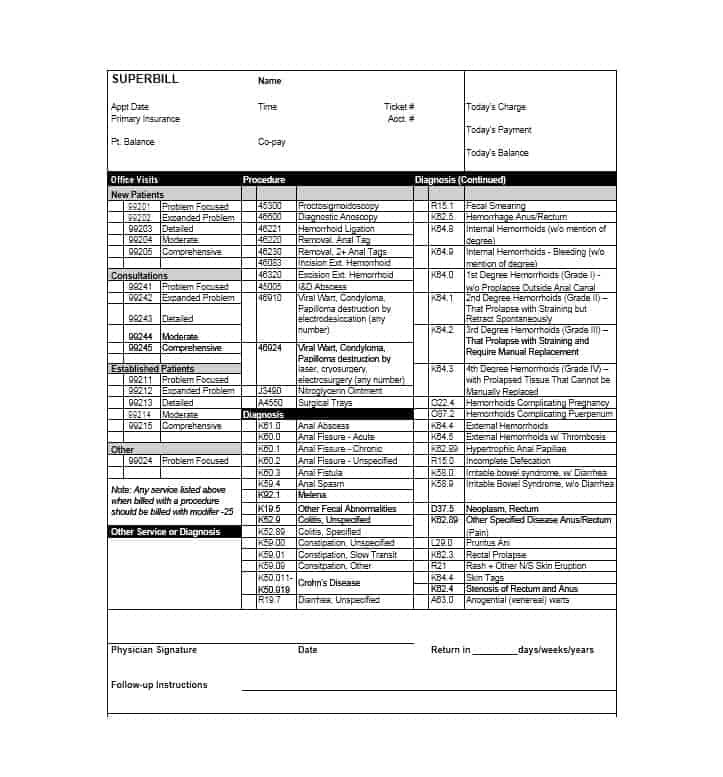 An extremely important medical billing document, the superbill is submitted by patients to insurance companies for reimbursement purposes. 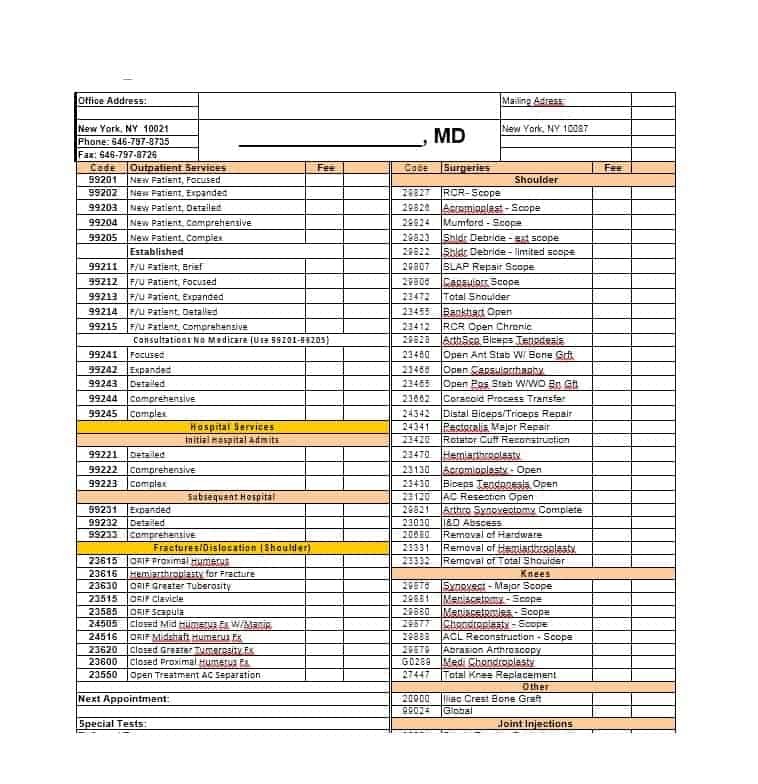 A document completed by the healthcare provider, a superbill includes the basic information of the patient and the provider as well as the codes of the diagnosis and the procedures. 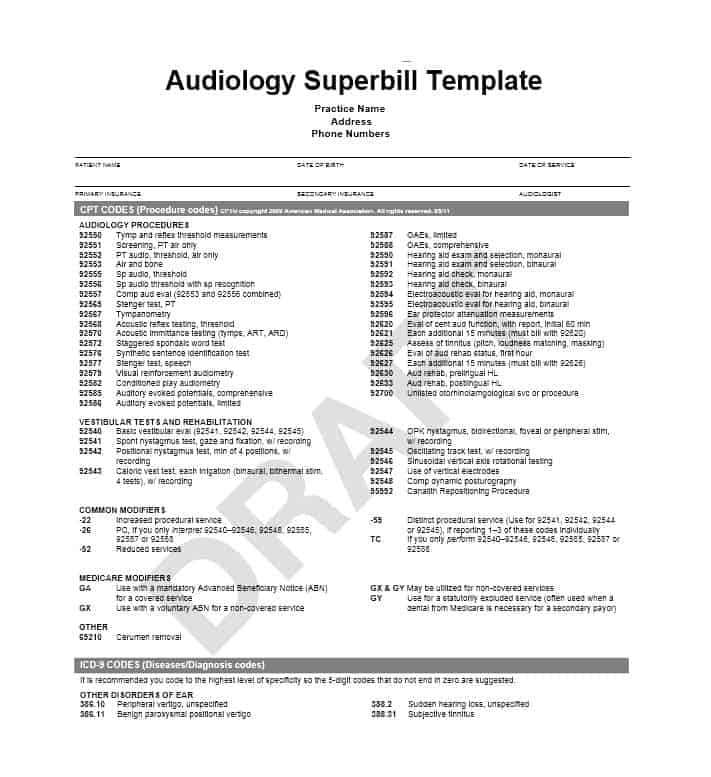 One of the most important documents for patients, a superbill is easy to create. 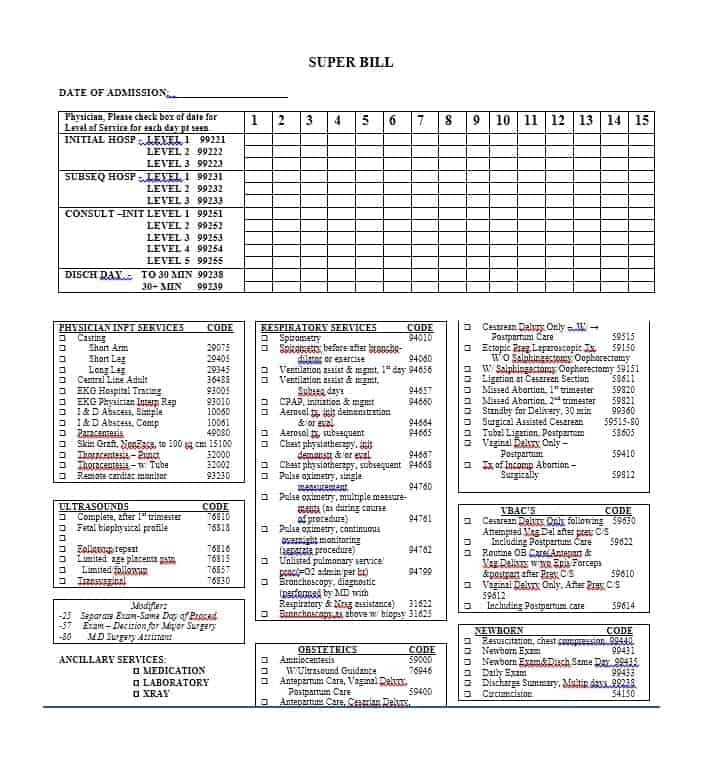 A good and easy way to create it is using a superbill template. 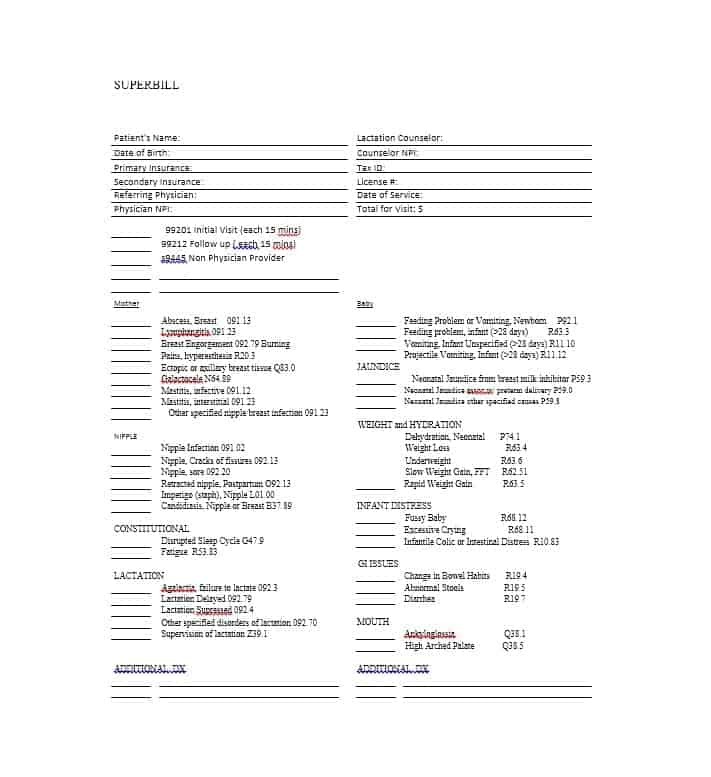 By looking at the template, you’ll know exactly what’s included in a superbill. This in turn will make it easy for you to create an error free experience.